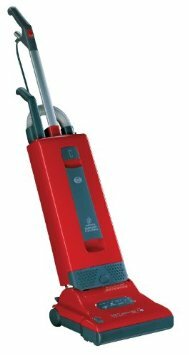 SEBO 9558AM Automatic X4 Upright Vacuum has to be one of the most versatile and technically advanced vacuum cleaners in the market. This statement can definitely be backed up with a lot of advanced features and components of the vacuum. It is also very light weight, having a net weight of only 16.7 pounds. There is an electronic controller on the machine which regulates the smooth performance. This controller measures the resistance of the brush roller against the floor according to which the power head is then adjusted up or down at an appropriate height. This ensures efficient performance on all floor types. Another noteworthy feature of this electronic controller is its warning system. This warning system is sued to inform users of the possible problems such as such as clogs, a worn brush, a full bag and brush roller obstructions. Great thing is that, in order to protect the motor and belts from damage, the electronic controller automatically shuts off the vacuum to avoid any major problem. On SEBO 9558AM, you can adjust the brush height according to your requirements. But this is not manual and you don’t need to fight with the device, just tell your preference to the electronic controller and it would do the adjustment. This automatic adjustment ensures optimal cleaning of both carpets and hard floors. A unique feature of this adjustment mechanism is the “sealing strip”. This strip is located behind the brush and channels the air flow in order to prevent debris kickback. The SEBO filtration system comes with multiple-layered bags making sure that virtually all dirt is captured by the vacuum. This results in increasing the useful life of the micro-filters. 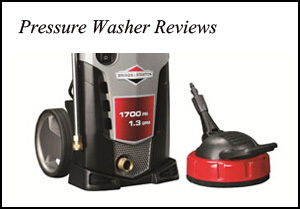 Dust enters from the top and deposits at the bottom, resulting in continuously strong suction. SEBO filters also make sure that surrounding air remains clean and are thus recommended by The British Allergy Foundation. SEBO 9558AM features a special warning light which is used to indicate when the brush roller needs to be removed and replaced. It also indicates whether the brush needs to be cleaned. When the bag is full or when there is clog in the airflow path, the red warning light indicating “bag full or clog” illuminates. This saves you from any unpleasant scenario and you can clean the bag according to the warning. The warning is also issued upon the detection of a dirty micro-filter. If the problem seems to be serious, the vacuum automatically shuts off. This makes sure that any major damage is avoided. It also efficiently prevents the machine from overhearing and the motor from damaging. This vacuum cleaner is almost completely automatic. You only need to put your hands on the handle and roam around with and it would do the rest of the job. Of course, complete automatic, safety checks and useful features have hiked the price but if you don’t mind spending a few extra bucks for guaranteed safe and clean home, it seems like a fair bargain.